This is a must-see custom designed, new construction 3 b/r 3 1/2 bath beauty! First floor offers a bayfront bedroom, full bath and laundry/utility/storage room. 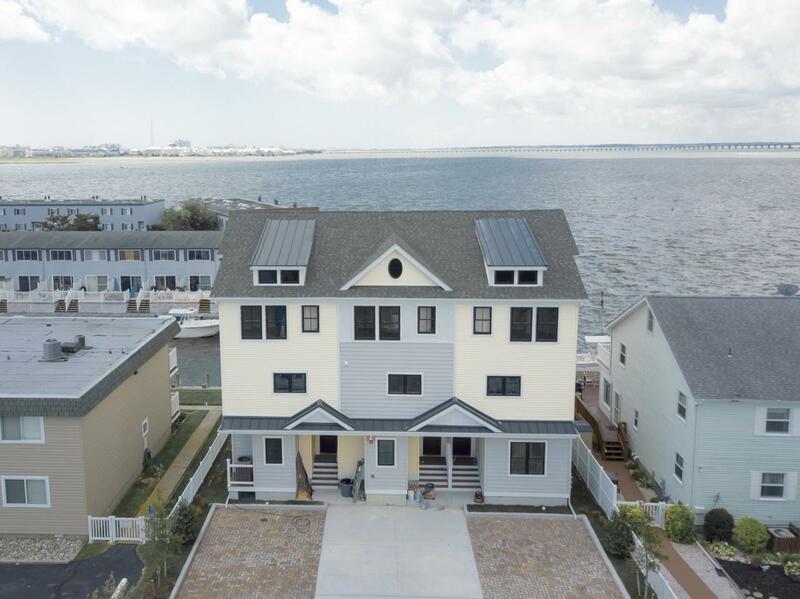 Second floor has wood laminate floors throughout the open floor plan, bayfront living area, kitchen w/ SS appliances, granite, large breakfast bar & powder room. Third floor boasts two master suites, bayfront b/r has sweeping panoramic views of OC, bay & Rt 90 bridge. Each unit has two assigned parking spaces with two bonus spaces to be shared amongst 3 owners. 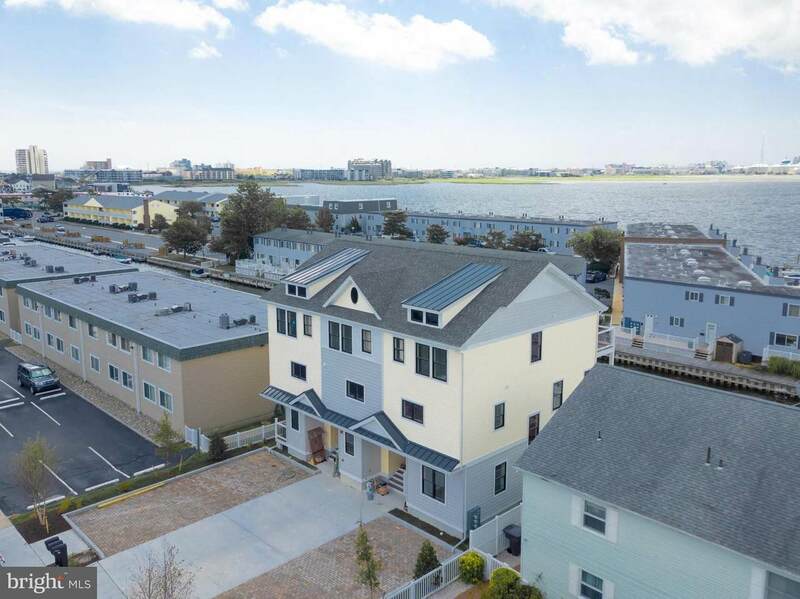 Seller is under contract & permits are in process to replace bulkhead at sellers expense as well as to install pilings for elevator lifts for both A & B units. Buyers will be responsible for purchase of the actual lift but if done in first year can use same permits. Drawings & contract details are in MLS docs. Middle unit conveys furnished as seen! Condo fees are $250 per month & will include master/flood insurance, sprinkler system maintenance plan, reserve for roof/siding/parking lot and some general maintenance exterior items. Trash included in city tax. Don't sleep on this one, it's a rare find!